There’s no one simple, easy ‘fix’ for this job. Instead, it takes a concerted effort across multiple teams to do it right. That’s no surprise, because this is really at the core of any successful business. 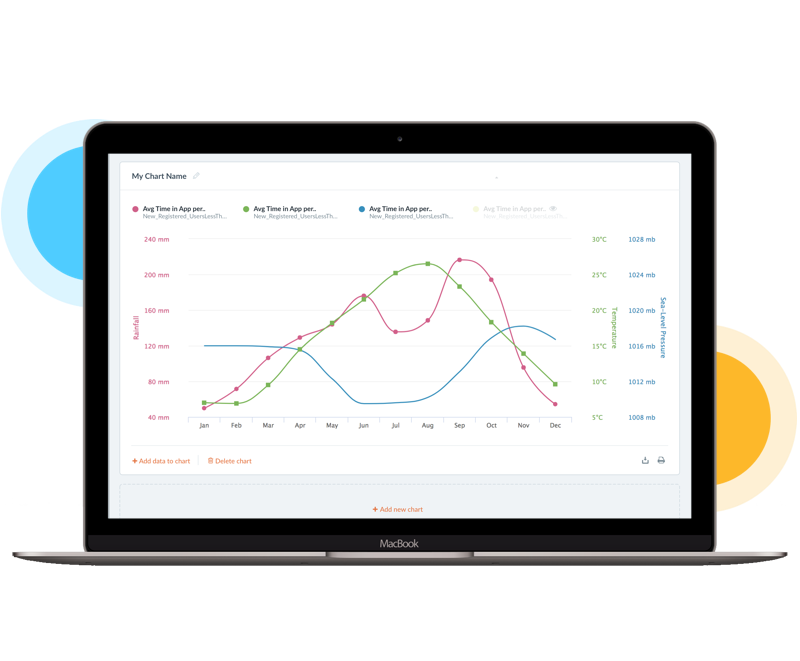 It also means having the right tools in place - powerful analytics and messaging capabilities across a seamless multichannel environment. Roll up your sleeves folks! First impressions are always important. A killer First-Time User Experience is therefore essential, helping users unlock your app’s value from the get-go. Make sure users understand what they can get from your service, and exactly how to use it. 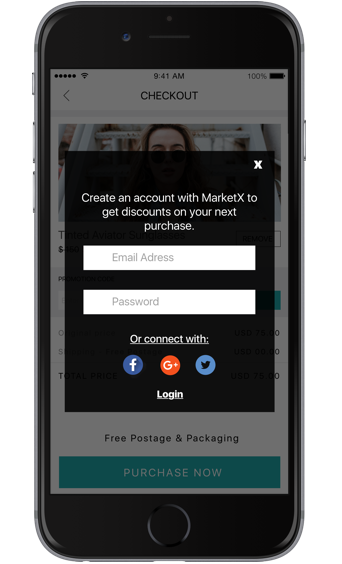 This is also the time to request app permissions and handle account creation, multiplying your marketing effectiveness down the line. But do so in a smart way - collecting permissions means doing so in a way that stresses the benefit to the customer - not to you! The goal is simple: your app should be the customer’s ‘go-to’ app for the task at hand, whether that be booking a flight, buying a dress, transferring money or applying for a job. Getting to this stage involves removing as much friction as possible. Focus on understanding common user tasks and optimizing them to the nth degree. Elevate ease-of-use to the highest priority and work hard to make delivering value as effective as possible. It’s all too easy for the user to forget about an app as soon it has been downloaded. No surprise with so many other apps competing for their attention. 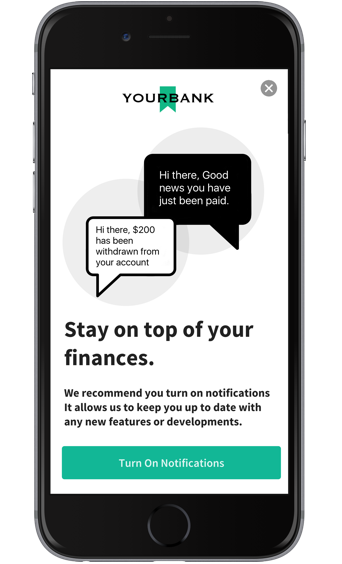 After the initial app install, target users with strategically timed push notifications over a series of days. 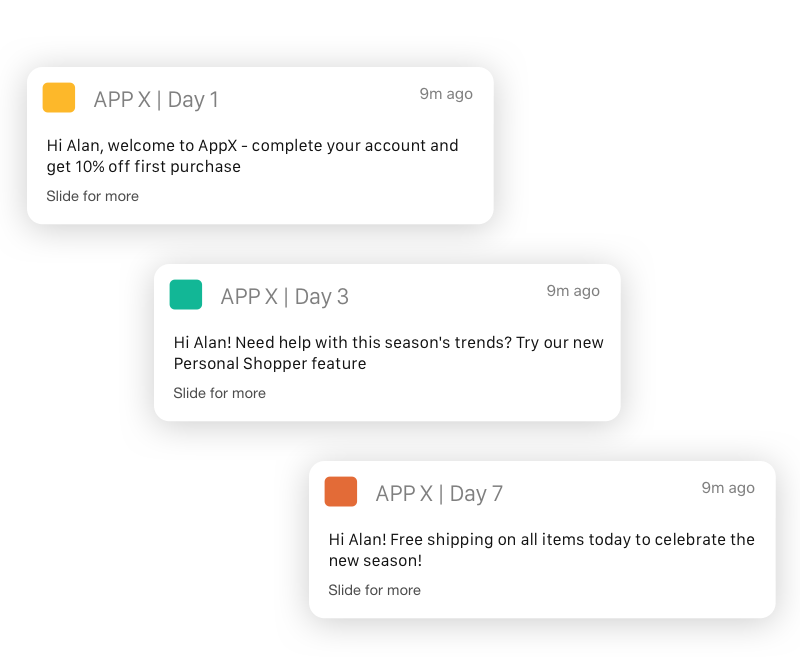 Day 1 could be encouraging account creation; Day 3 could let them know about as as-yet unused feature; Day 7 could be highlighting an offer. The important thing is that you are training your customers to interact with your app - but doing so in a way that is relevant to their needs and helps deliver value (rather than irritation). 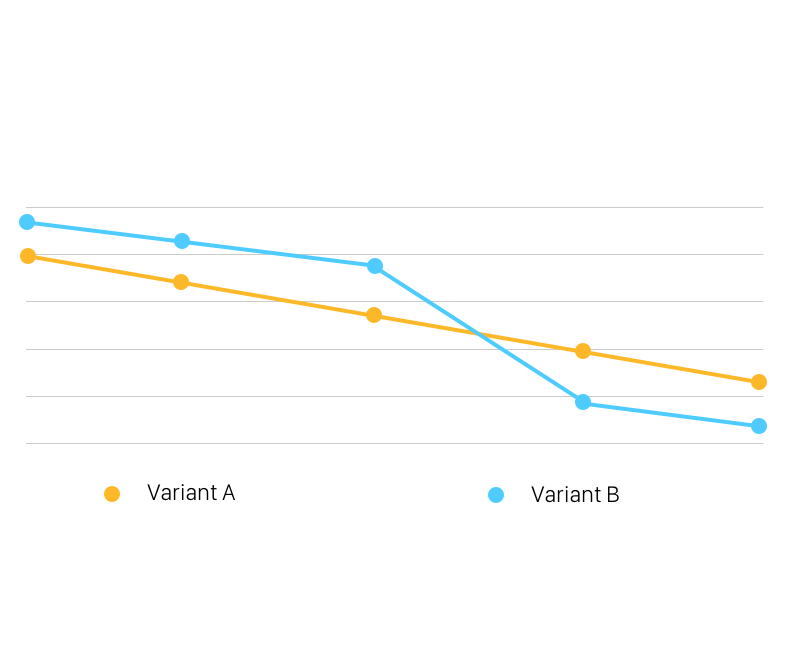 There is almost certainly a point in your app where, for whatever reason, users start to drop off (or drop off in greater numbers than elsewhere). Using a mobile analytics tool will help you pinpoint exactly where this is in your app, and from here you can identify what might be the cause. If the reason is not immediately apparent, try A/B testing different variants of the UX at that moment in time and find what works better through hard user data. Then put the winning variant to work improving your numbers. The first transaction is a hugely significant moment in any app lifecycle. Once it has been completed, significant friction has been removed from all future transactions. A payment method has been chosen and entered, the user has registered, and they understand how the app works. There’s no better indication of future engagement. On that basis, work hard to encourage users to make that first transaction by A/B testing the process to remove all obstacles and when necessary delivering timely incentives to help move users over the line. Customers don’t see brands as a collection of separate channels, they see brands as simply ‘Walmart’ or ‘Amazon’. 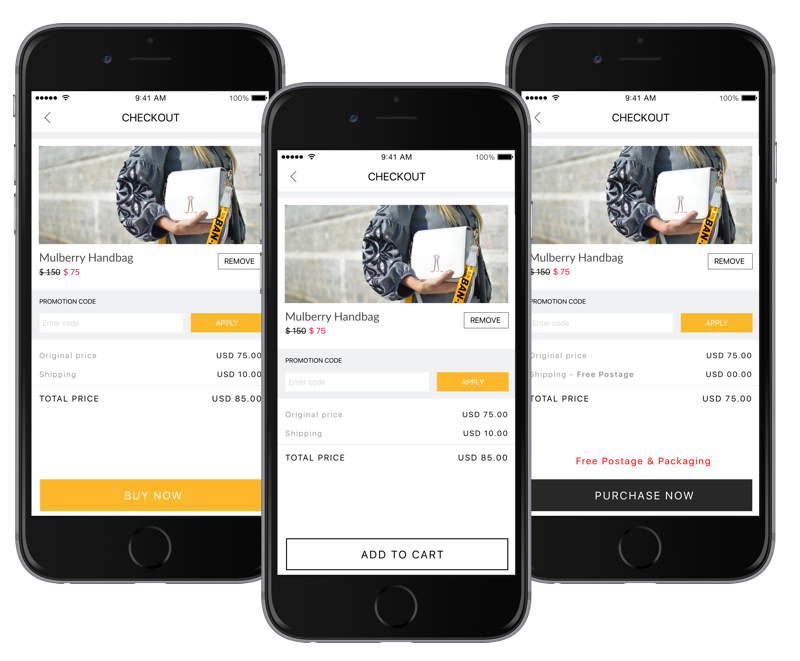 Establishing your mobile app as a natural extension of your bricks-and-mortar and online presence is vital. To make that happen ensure that you share data across these channels to the greatest extent possible. You want your website to know an item was viewed on the app, and vice versa. 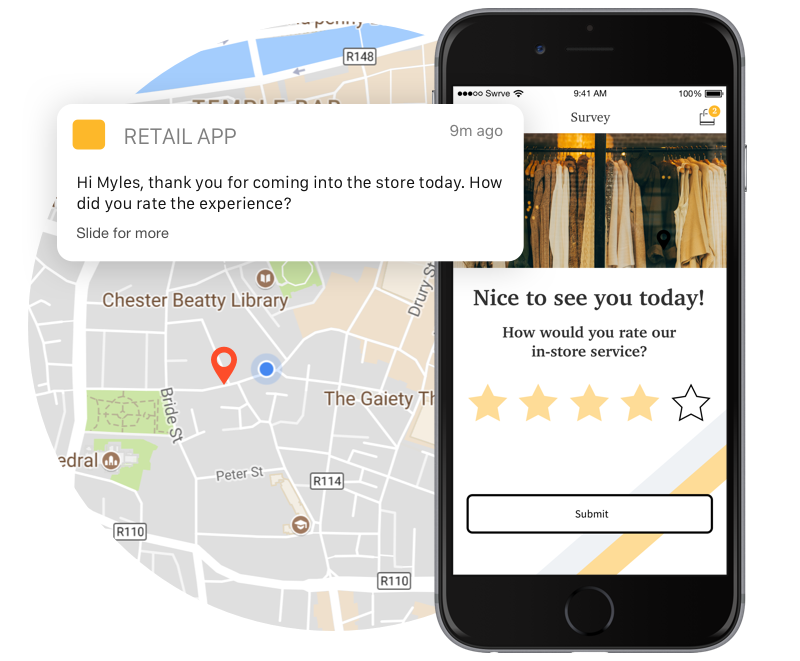 Nurture the mobile app/in-store association by using geofences at your stores to trigger in-store assistance and even customer satisfaction surveys when users leave.